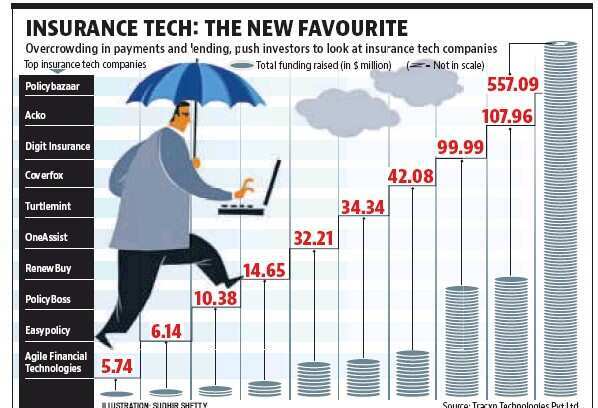 Overcrowding in payments and lending technology companies has pushed investors to look at newer avenues, such as insurance technology firms. “Investment in the payments and lending companies has matured and the sector is crowded with too many companies. However, cumulative investment is still lesser in insurance compared to banking,” says Abizer Diwanji, partner and national leader, financial services, EY. However, in the bargain, insurance technology companies have started getting crowded too. To begin with, this category can be divided into – digital only insurance company which holds insurance licence, insurance aggregators and companies that act as a platform for agents. Digit Insurance and Acko Insurance are examples of digital only insurance companies which have insurance licences and distribute insurance product directly to customers without middlemen. They are manufacturers of the insurance product and sell only on the digital platform. Hence, if you are buying a car insurance policy from Acko platform, you will only get an Acko car insurance. Companies such as Toffee Insurance that create bitesize insurance products can also fall in this category – the difference is they go to insurance companies to create customised products and then sell on the platform. Aggregator companies such as Policybazaar and Coverfoxprovide insurance products of various insurance companies on their platform, which you can compare and buy. Here these companies don’t manufacture insurance policies but sell policies manufactured by insurers on their platform. For instance, you can buy health insurance policies of Appollo Munich or Max Bupa from these platforms. You can speak to an advisor as well. These are not insurance companies but online platform that sell it. Considering insurance is a push product, you will need agents to sell insurance. These are sub-broking platforms where there are companies such as Turtlemint and Renewbuy which are creating platforms for agents that are able to sell multiple products. Till a year ago, agents were not able to sell multiple company products and hence, they were not able to monetise will. These platforms provide sub-agency or sub-broking licence. 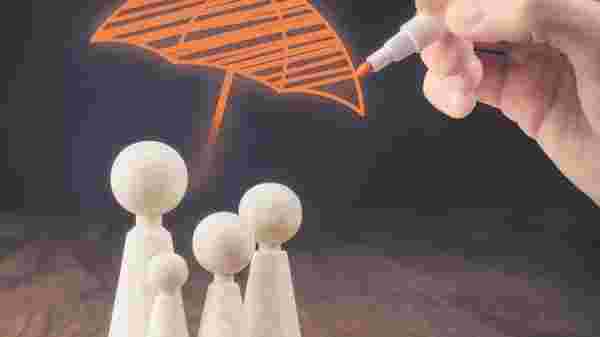 How to choose the right insurance policy online? Insurance as a product is not an easy one to buy, given the total number of products in the market. “There are over 50 insurers with over 300 variants of health cover. In case of life insurance, there are at least 250 policies including term plans, traditional plans and unit-linked insurance plans,” said Kapil Mehta, co-founder, Securenow.com, an insurance broking company. Given that there are close to 150 fin-tech companies to buy insurance from, how do you decide where and how to buy from? Firstly, remember that you need a basic life and health insurance plan depending on your age, location, income and dependants. You can choose to go the insurance aggregators to compare insurance products before buy. When it comes to bite-size insurance plans, it is advisable to look for exclusions and claim ratio before opting for one. Seek help of a financial planner if you are not sure which one to buy.